Will Monroe, who made a short cameo appearance in Anchorage for the 2018 Summer Intensive wrote about his summer experience in July 2018. Aang, everyone! Will Monroe here, and I’m back in Alaska working with Where Are Your Keys for the second time. In 2013, WAYK introduced me to the Kodiak Alutiiq community. Since then, I have started and completed a doctorate in computer science at Stanford, doing research in natural language processing and computational linguistics: building computer programs to understand and produce human language (think Google Translate or Siri…or a neural network for generating nail polish colors). The main focus of my research has been on language understanding and production in context: how might a computer be made to understand statements with hidden meanings, or meanings that change depending on the environment? How can a computer program connect language to the real world and actually do things with it? During the last year of my Ph.D., I eventually figured out that I could set aside some time to visit the WAYK team before starting a new job. 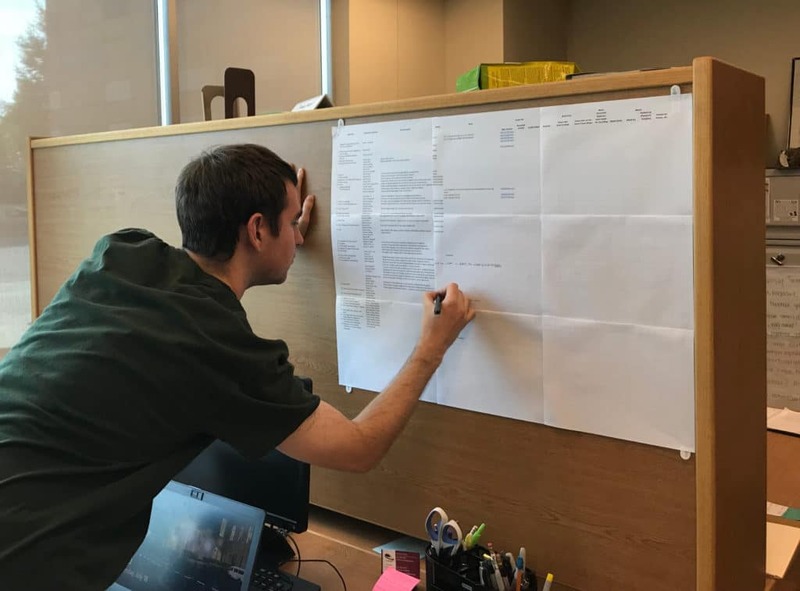 I got in touch with Evan and Susanna in the winter when they released the internship application, and after a number of conversations, we were able to lay out a plan for me to help in the Unangam Tunuu Summer Language Intensive in Anchorage, Alaska. My time here is short—only three weeks, hence “cameo” rather than “internship”!—but the WAYK team has a knack for squeezing unbelievable amounts of learning into a short period of time. My project involves putting together videos of stories being read aloud in Niiĝuĝim Tunuu (Western Aleut), following the model of these Qawalangim Tunuu (Eastern) video books. When I need to take breaks from this project, the language intensive team has been teaching me Niiĝuĝim Tunuu lessons, thereby testing experimental parts of the curriculum and training their students to be teachers. Before coming to Anchorage, I spent the first three weeks of the summer working with the Alutiiq Museum. There I was able to catch up with some of the people I met during my previous stay in Kodiak, in addition to making new friends at the museum and the next-door Language Nest. In the fall I’ll be starting work at Duolingo, a language education software company, where I’ll be excited to try to incorporate pieces of my graduate school research and WAYK’s insights into language learning and teaching into Duolingo’s app and website.